This morning I was reading an article on News24 about the petrol price outlook for September with possible increases of around 27%. 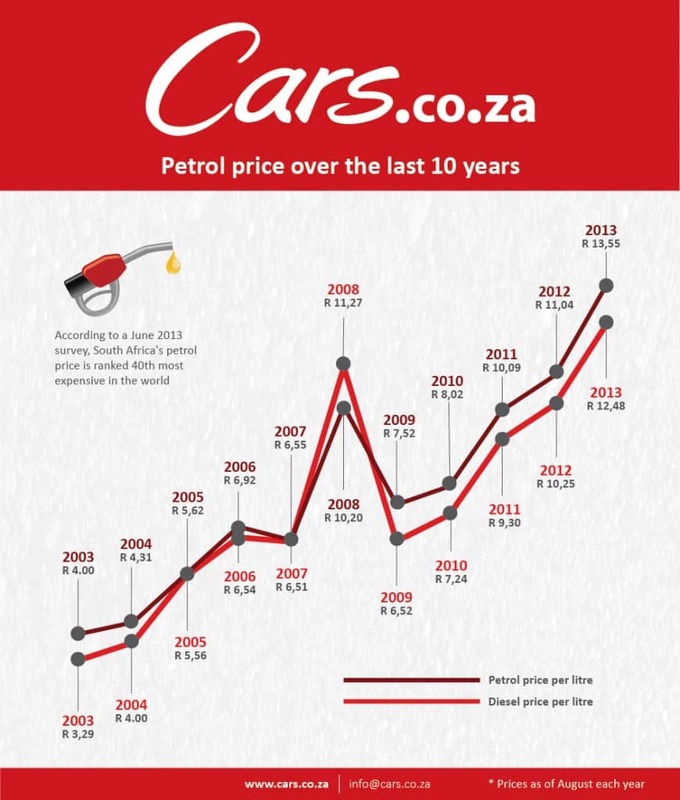 Then I came across this infographic on Cars.co.za which doesn’t seem to be adjusted for inflation, but nonetheless paints a pretty depressing outlook for the future of oil prices in SA. I think maybe the hipsters are on to something – cycling might just be the way forward!